Panyaden staff, parents and students deliver 120 gift boxes to the children of Sri Nehru School, Doi Pui. 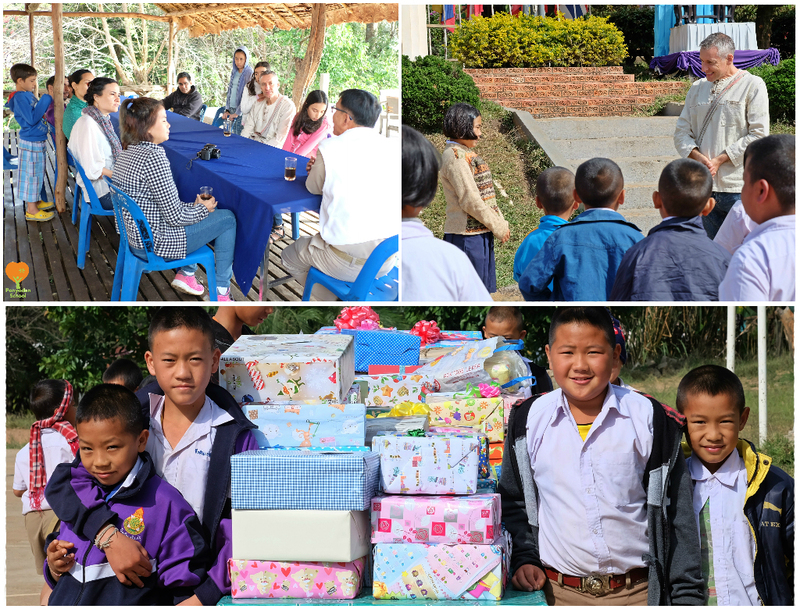 The culmination of our ‘Shoe Box Drive’ at school, the gifts of warm clothes, stationary, toys and other gifts were gratefully received by the students and teachers at this Hmong village in the mountains. This entry was posted in Featured Posts, Others and tagged Doi Pui, gift boxes, Hmong village, Panyaden staff, parents, Shoe Box Drive, Sri Nehru School, students.